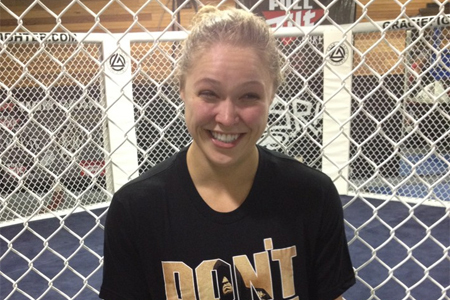 Reigning UFC bantamweight champion Ronda Rousey (pictured) may no longer be a favorite among MMA fans (Please see: Rousey loses in opening round to Miesha Tate in fan-voted “EA Sports UFC” video game cover), but that certainly has nothing to do with her impending real life matchup with Tate. The Gambling Gods have pegged Rousey a resounding 10-1 odds-on favorite to wax “Cupcake” in their highly-anticipated rematch. Tate, meanwhile, checks in as a whopping 6-1 longshot to dethrone her bitter rival at UFC 168. Tate, like Rousey’s six other prior victims, lost via first round armbar in their initial encounter in March 2012.